Inaugural Lean In Meeting Successful! You are here: Home / Editorial / Inaugural Lean In Meeting Successful! Our Inaugural Lean In Circle Meeting was a Success! 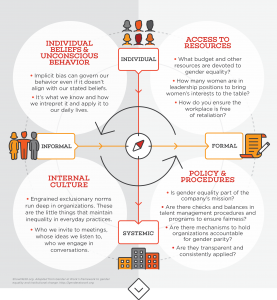 Gender equality: Four root causes, four solutions – one compelling program for a level playing field in corporate America. The ShowMe50.org vision is to achieve 50% women leading corporate America. We are using Lean In Circles to drive change. Women are competent to lead and interested in doing so but complex forces continue to create roadblocks. Women remain grossly underrepresented in senior leadership positions across America. Our first meeting was fantastic! Here is a link to our program: ShowMe50_Circle_091916_final. It was a great peer environment where women and men learned about solutions to act on immediately. We will continue meeting the 3rd Monday of every month to learn about the ShowMe50 action program. If you live in Atlanta and you want to be a part of something special and unique to help companies optimize 100% of their human capital, sign up to be part of our ShowMe50 Lean In Circle in Atlanta, ShowMe50 Sandy Springs. We meet in person on the 3rd Monday of every month in Sandy Springs. Register at Eventbrite. Search ShowMe50 Lean In Circle. In the meantime, here are some basics. We bundle the four solutions into what we call the ShowMe50 Win Win Checklist. These structural changes don’t just help women – they level the playing field for all qualified people. These inclusive polices help companies attract and retain talent… everyone wins. Below is an abbreviated version. More details are on our website here.